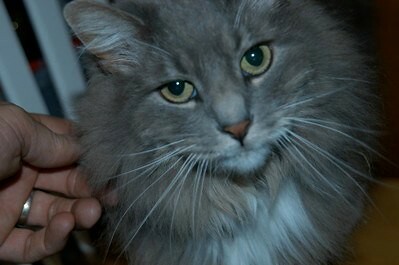 Yesterday, John and I said a sad goodbye to our last cat, Valentino. 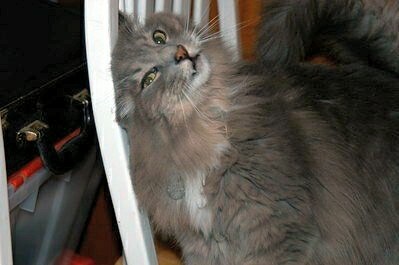 Tino was the prettiest, sweetest, and dumbest cat we ever had. 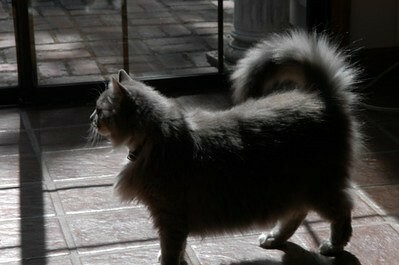 His long fluffy tail always curled backwards like a teapot handle. In addition to being beautiful and irrepressibly loving, Tino had some very bad habits. Eating electronics was one (see “Arduino vs. Tino“, 2011), shedding everywhere and making stinky messes in corners were others. 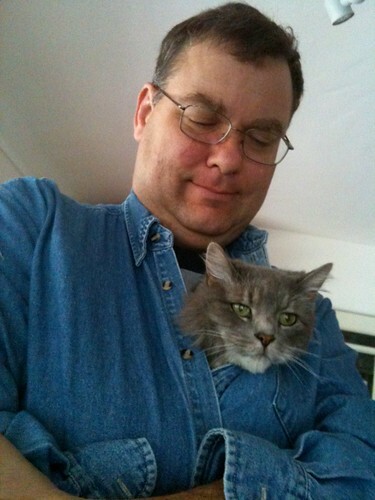 He earned the nickname “Piddle Kitty”. 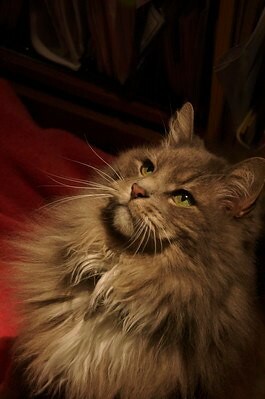 The kids and I adopted Valentino and his sister Garbo eighteen years ago, after some creep dumped the kittens near the Donner Pass road, high in the Sierras in winter. Jessica has written a tribute to Tino: “Sadness for a heaven-bound cat and a recipe for feeling better“. 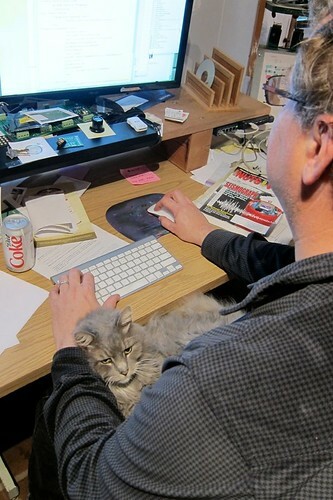 When John and I got engaged, Tino was one of four cats in our family – to which John was highly allergic. 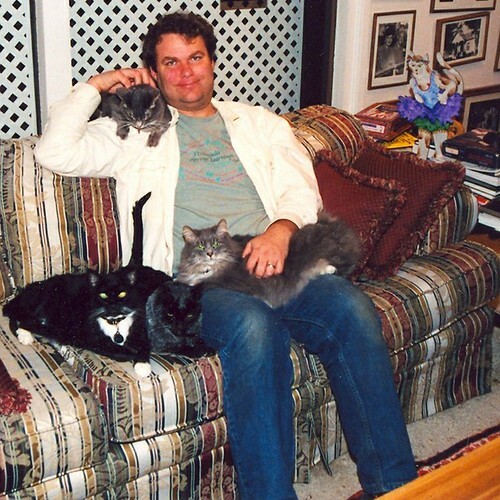 We made a deal: John agreed to live with my cats and I agreed not to replace them after they passed. I have had pet cats all of my life but Tino was my last. 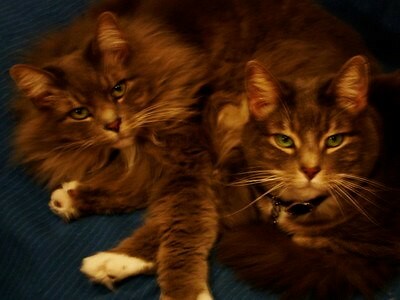 I pray that our silly fuzzball is now happily cuddling in heaven with his sister Garbo who passed in 2007. Goodbye sweet friend. We miss you. Am so sorry that you lost your beautiful Tino – when they leave, they take part of your heart with them. We just lost Nickie an 18 year old orange and white who followed me around everywhere. I do believe that they are around somewhere and that we will see them again.